The reservoir is still fishing great, there's been some good trolling action, bait fishing from boats, fly fishing from tubes or boats, and even the shore fishing has picked up this week. It seems that as the lake level has started to go down a little bit (it's still about 85% full) it's choked out the inlets a bit with weeds, this seems to have pushed the fish into deeper water where the trolling is good. 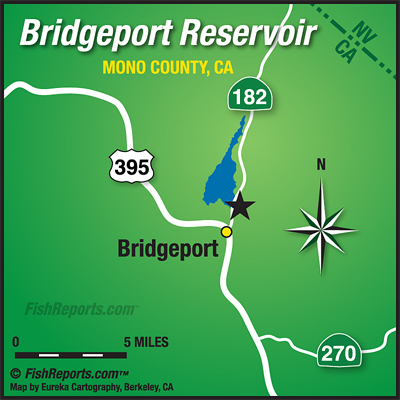 There's lots of fish hanging out down near the dam where there are fairly easy to catch from the shore or trolling. The fishing out there should just keep getting better as the weather keeps getting cooler.